Must See Ultra White IS 300 F SPORT! 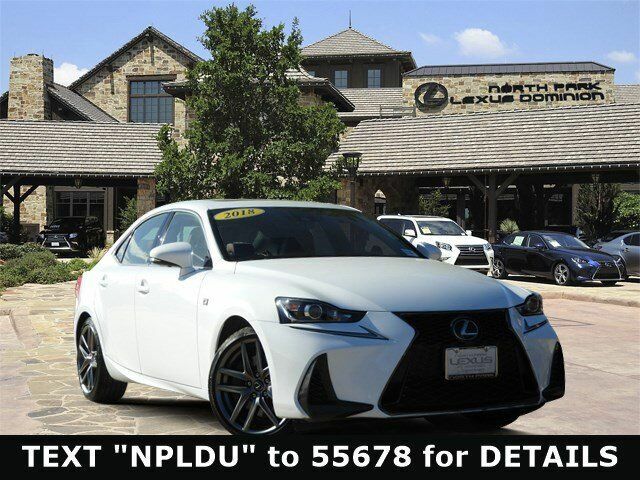 Navigation, Back up Camera, Lexus Enform App Suite, Heated/Cooled Seats, LED lights and much more! CARFAX 1-Owner, Excellent Condition, GREAT MILES 19,102! IS 300 F Sport trim Call 210-816-6000 to test drive! Back-Up Camera, Heated Driver Seat, Cooled Driver Seat, Turbocharged, Onboard Communications System, Aluminum Wheels, Keyless Start, Dual Zone A/C, Lane Keeping Assist, Heated Seats, Heated/Cooled Seats Sunroof, Keyless Entry, Child Safety Locks, Steering Wheel Controls, Heated Mirrors.